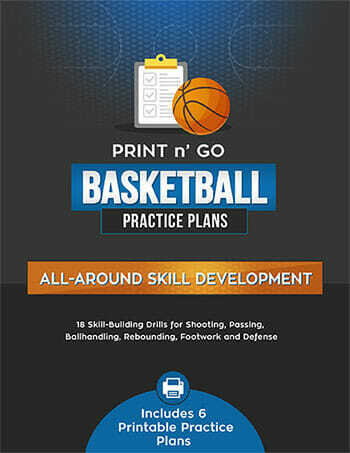 I’m often asked for suggestions for [tag]basketball shooting games[/tag]. 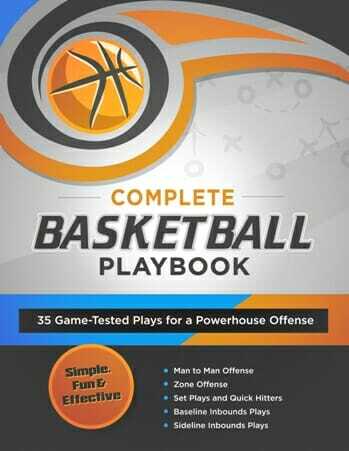 Here are some [tag]basketball[/tag] [tag]drills[/tag] sent to me from Michael that will pay huge dividends with your team. I like to run the full court [tag]layup[/tag] and [tag]shooting[/tag] drills for [tag]conditioning[/tag] but I also like to use them in a timed setting. We have a few and I am always looking for more variety. One [tag]drill[/tag] (Laker Break) requires 9 players. One [tag]rebounds[/tag] the ball, outlets to one side and the other side runs the floor for a layup. A group of three are waiting at the other end. Another (Tiger Break) requires 6. One drives the ball down the middle to the other end where she/he passes to one wing for a layup, the other wing crosses the court behind the backboard and sprints back to the other end. The guard rebounds the ball and pushes it back for a layup to the wing who has yet to shoot. Another (Chrisman Break) works best with 8, but 6 will do. On each end is a rebounder and a ball. The right (or left) corners each has one player. At halfcourt is an outlet for each rebounder. The ball is outletted to the middle, the middle passes to the corner player when she has sprinted to the other end for a layup. The extra players are placed behind the rebounder. 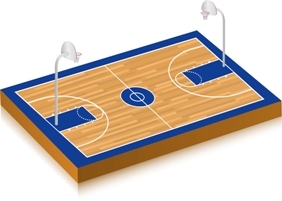 The rotation of positions are from rebounder to middle to corner to rebounder. Another (Olympic Shooting)is a three man weave until they get to the other end of the court. The middle person shoots a jumper and the wings recieve a pass from each corner for a jumper. The next three rebound the middle players ball and three man weave to the other end. 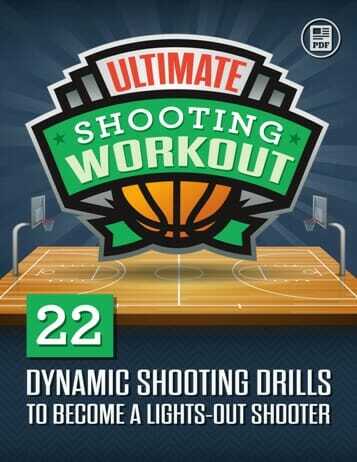 I give them 5-10 minutes for this drill.